PlayFrank Casino Review 2019 | Why This Online Casino Is Worth It! PlayFrank is a casino which may require an introduction, in the sense that a lot of people may never have heard of it before. If so then that’s a shame, as this bright and breezy casino has a lot to offer. As soon as you visit this website you will realize that this is one of the new breeds of online casinos. The blurb in the About Us section tells us that the site was created by a player who had a lucky win on a slot jackpot game, and while that may be fictional, the ‘Play’ element of this casino is certainly correct. The site mascot is a cheerful blue animated character which looks rather like a ‘Minion’ who’s having an off day. The site is about fun and games, and there are a whole lot of games to choose from here, from some of the best providers around. 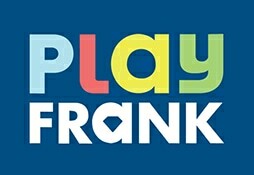 PlayFrank Casino has been operating since 2012, and is part of the EveryMatrix Group. The site takes a fresh approach to online gaming, appealing to the new generation of online casino players. The site offers more than 2100+ real money games to players, which are mostly made up of slot games but which also include a good range of casino table games. The site is fully compatible with mobile devices, meaning that you can play on the move. It has been licensed by the strict regulators of the Malta Gaming Authority, so player security is guaranteed. Furthermore, PlayFrank has been granted the seal of approval from a number of respected casino rating sites, which is a further sign that PlayFrank is providing a quality gaming experience. The welcome bonus on offer from PlayFrank Casino is generous in the extreme. The overall offer is $/€300 based on your first three deposits along with 200 free spins. Your first deposit after signing up will grant you 100% of your first deposit up to a max of $/€100 with 50 free spins on Starburst thrown in for good measure. You can then get a 50% bonus up to $/€200 on your next deposit with 50 more free spins, followed by a 100 free spins on your third deposit, on the Starburst slot. The wagering requirement is an unbelievably low x30 your bonus funds in order to turn the bonus into cash. UK players can also enjoy this offer, though only the first deposit bonus. You can find lots of other promotions at the Promotions page or by checking out PlayFrank on social media. Seriously: this is one of the best deals you will find anywhere and you should take it immediately! You will never run out of payment methods at this casino, because there are just so many to choose from. Visa and Mastercard? Check, although obviously, AMEX is not available due to restrictions on US banks. Neteller and Skrill are becoming increasingly popular to fund gaming accounts, and both present and correct here. Plus you have got the excellent voucher system Paysafecard if these are being sold in your area. There are also more localized options like Zimpler for Sweden and GiroPay for Germany, should you reside in either of those countries. Either way, as a customer focused casino, PlayFrank try to make deposits and withdrawals as speedy and hassle-free as possible. There are a lot of games on this site. Over 800 in total, including titles from (deep breath) Microgaming, IGT, Betsoft, NextGen, Quickspin, Evolution, Williams and many more. If you like slot games then you will be more than satisfied with the range of options available here. There are lots of progressive jackpots and a range of games from traditional fruities to the most modern video slot titles. Luckily, casino table game fans are also well served. PlayFrank may not look like a traditional online casino, but it still is happy to provide good quality traditional casino games, including live dealer selections. A good aspect to this casino, it’s the fact that customer support is available 24/7. You can contact the site for immediate assistance from Monday to Sunday. As a site with a commitment to customer support, this is a very nice. When you get in contact with the site – you will receive courteous and professional assistance. PlayFrank is a hidden gem of a casino. With an excellent selection of games, this bright and charmingly designed casino has a lot to offer. Not the least of which is its excellent welcome bonus with very reasonable wagering requirements! While it doesn’t have the competitions and loyalty plan gaming of some other new casino sites, there is still a lot to like about PlayFrank. This casino is not going to remain a secret for much longer, so now may be the right time to head over there and sign up!